Bollywood’s version of In Darkness. 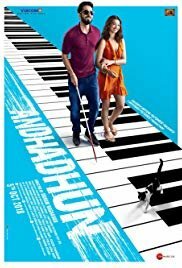 We follow a blind pianist who experiences mysterious events, which lead to plot twists. There’s also the whole question of whether he is actually blind or just pretending... In Hindi language with English subtitles. Comedy, Detective/Mystery, Romance, Thriller, Bollywood.